Return to the End of Time - the fabulous decadent last party of the human race - and the bizarre and jaded individuals who dwell there. From Lord Shark to The Everlasting Concubine, the denizens of the ageing Earth dance to the dying of the sun. Visited by various travellers - including Elric of Melnibone - the dancers are involved in a series of complicated plots and hilarious misunderstandings, and a final fate of the Eternal Champion is revealed. 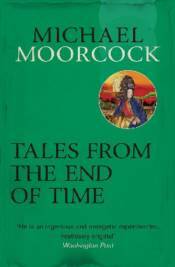 Contains The Transformation of Miss Mavis Ming, Legends from the Ends of Time and Elric at the End of Time.